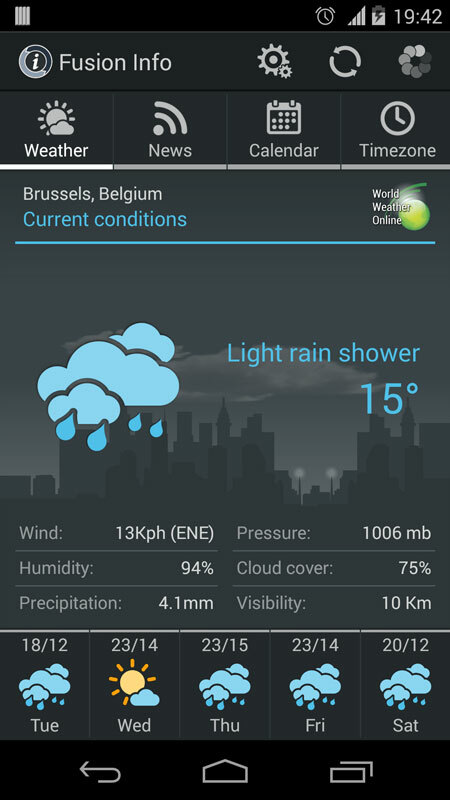 Have accurate information about battery state and weather easily accessible. 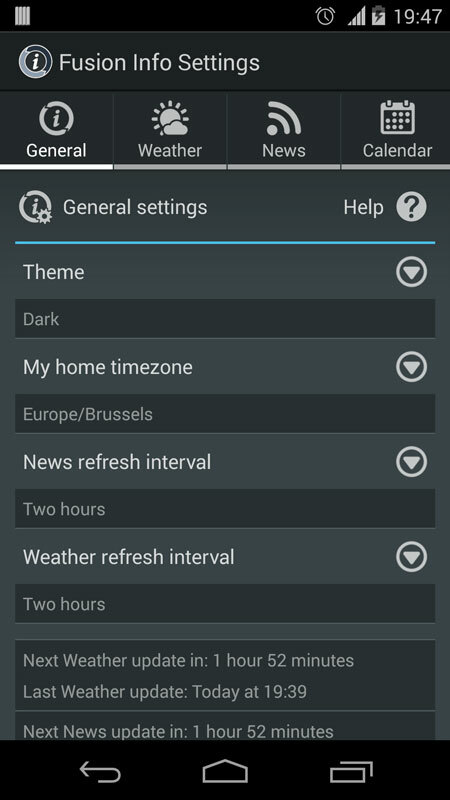 Additionally you can setup favorite news feeds, have visual warnings about incoming Calendar events and have information about current and home time zone. 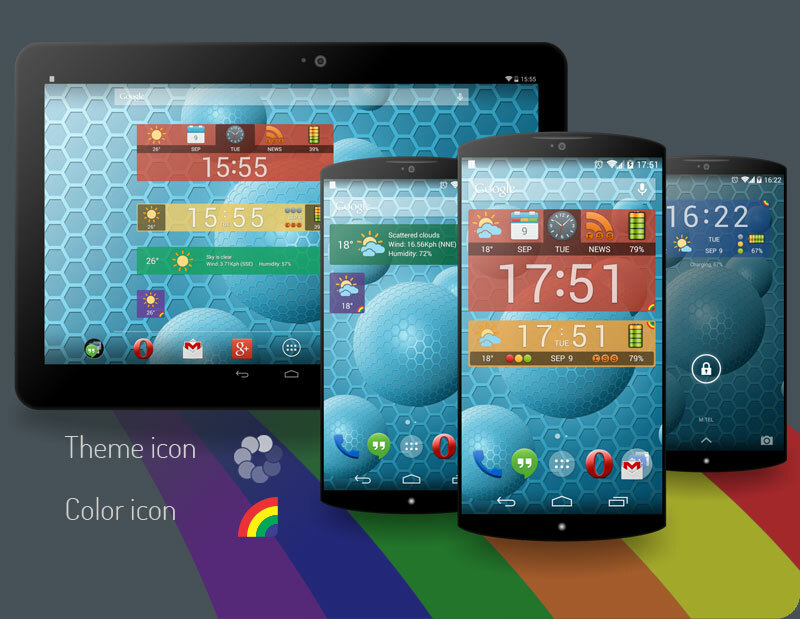 Home screen widget in three sizes. 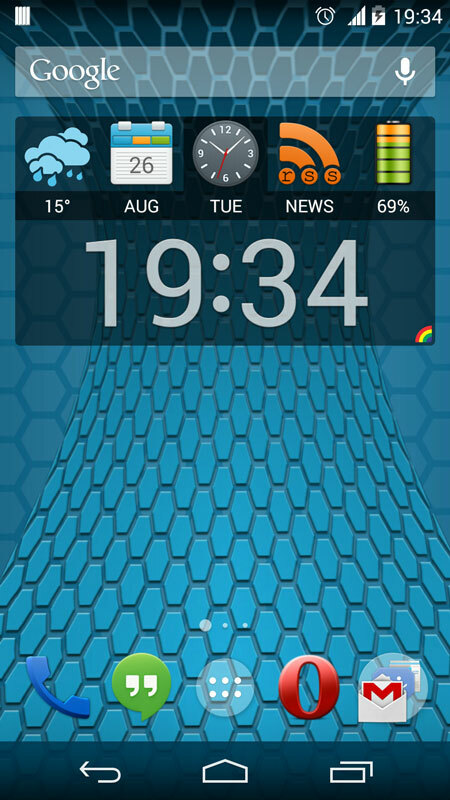 Additional widget for lock screen for devices with android 4.2 and higher. 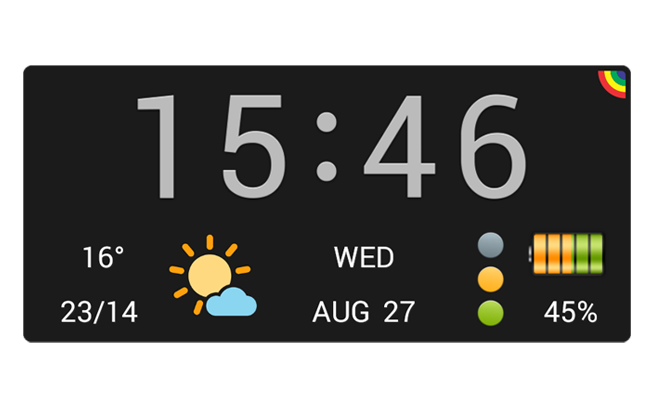 Widgets with changeable background color and transparency. Main app supports different themes now. 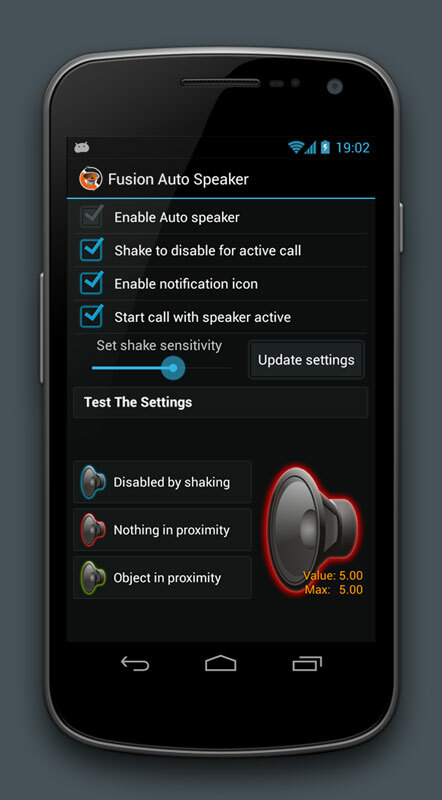 Fusion Auto Speaker is the service application that runs in the background and helps you to automatically handle switching between headset and speaker during the phone call. Your phone needs to be equipped with proximity sensor. Application additionally uses acceleration sensor to allow you to override the auto switching between headset and speaker.